The IIfx was the fastest Mac of its day. March 19, 1990: The ultra-fast Macintosh IIfx makes its debut, sporting a hefty price tag appropriate for such a speedy machine. The fastest Macintosh of its day, it boasts a CPU running at a “wicked fast” 40 MHz. It gains an additional speed bump from a pair of Apple-designed, application-specific integrated circuits. Prices start at $9,870 and run up to $12,000 — the equivalent of $19,000 to $22,000 in 2019 terms! The 16th Mac model released, the Macintosh IIfx revealed just how drastically personal computing power had increased in a few short years. This pricey powerhouse utilized Motorola’s 40 MHz 68030 microprocessor with a 68882 floating point co-processor. Apple claimed this gave buyers the performance of a Sun Microsystems SPARCstation 1, a pro-grade piece of kit. In addition to the CPU, the IIfx got a speed boost from its two dedicated I/O processors, referred to as peripheral interface controllers. These were a pair of 10 MHz 6502 CPUs, the same CPU family used in the Apple II. They managed the low-level I/O tasks on the Apple bus, floppy disk drive and serial ports that the 68030 microprocessor previously handled. The IIfx’s high speed made it the fastest Mac available until Apple released the Quadra 900. In terms of design, the IIfx proved significant as well. 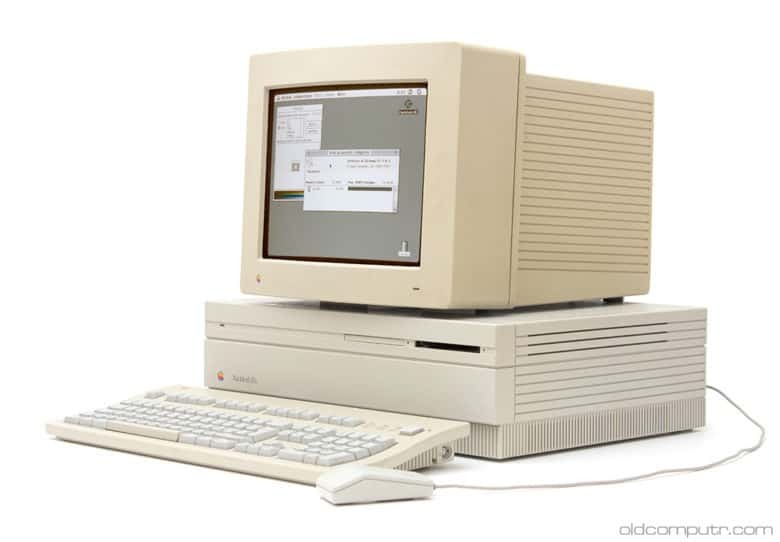 It was the last computer released using Apple’s “Snow White” industrial design language, introduced in 1984. Designer Hartmut Esslinger of Frog Design came up with the Snow White look. He utilized design flourishes such as vertical and horizontal stripes to create the illusion that the computer was smaller than it really was. Despite its power, the Macintosh IIfx did not break into the professional workstation world the way Apple hoped. Cupertino envisioned the computer finding a place in the engineering and medical imaging world. Apple even dreamed of winning over power users on Wall Street. This didn’t exactly happen. A September 10, 1990, article in Computerworld observed, “Mac IIfx: Not yet to be feared.” It described how, months after the computer’s release, the IIfx still struggled to become a serious contender in the workplace world. While undeniably powerful, the IIfx lagged behind top-of-the-line workstations made by IBM and Digital Equipment Corp. Still, it found favor with its core audience of power Macintosh users. It particularly appealed to people working in creative fields who required serious graphics firepower. If you used a Mac in 1990, it didn’t get much better than this!